The Government’s new Tax-Free Childcare scheme was due to be available for all eligible families by the end of 2017. However, due to technical issues, it has been put back to March 2018. Nottingham chartered accountants Clayton & Brewill provides an update on the Tax-Free Childcare scheme. The scheme allows you to open a special account in which you deposit money to pay registered childcare providers. For every £8 that you pay into the account, the government will pay in £2, up to £2,000 per child, per year. In order to qualify for the scheme, you and your partner, must each earn on average at least £120 per week (equal to National Minimum or the Living Wage). If either of you expects to earn £100,000 or more, you won’t be eligible for the scheme. Despite some recent confusion, the scheme is available to those who also use the 15 hours and 30 hours free childcare scheme. However, the scheme can’t be used at the same time as childcare vouchers, Universal Credit or tax credits. 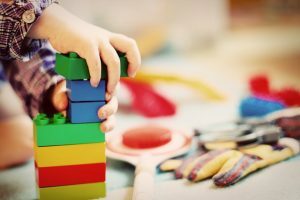 When can I apply for Tax-Free Childcare? Although it was expected that the roll-out would be completed by December 2017, HMRC has delayed the roll-out of the scheme. At the date of writing, parents of children born on or after 24th November 2011 and those with disabled children, can apply on the HMRC Childcare Choices website. Those with older children should be able to apply in the next few months. Why has Tax-Free Childcare been delayed? Tax-Free Childcare was delayed following a series of technical issues involving the HMRC website. HMRC took the decision to delay the roll-out to ensure they could make the necessary improvements to the website, to ensure applications are processed correctly and efficiently. Before applying for Tax-Free Childcare, we would suggest reviewing all options to ensure you are using the best scheme for your circumstances. Any employees that currently receive childcare vouchers through the Employer-Supported Childcare scheme will need to decide whether to stay on this scheme or switch to the Tax-Free Childcare scheme. If you are a childcare provider, you will need to sign up to receive payments from a Tax-Free Childcare account. Clayton & Brewill can help you to calculate which scheme would be best for you – this will depend on factors including how much tax you pay and how many children you have. Click here to contact us to find out more.